Link your bubbles into Chains! 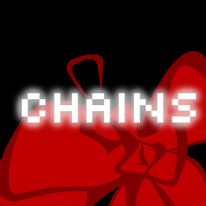 Chains is a challenging puzzle game with a unique feel and distinctive vector graphics style. The object of the game is simple - to link adjacent bubbles of the same color into chains. As you progress through the physics-driven stages it becomes increasingly more challenging and players’ speed, strategy and skill will be put to the test.